GLAND, Switzerland, February 3, 2014 (ENS) – Greater collaboration among the agriculture, water and wetlands sectors around the world is needed to ensure healthy wetlands, the top official at the Ramsar Convention on Wetlands said on Sunday, World Wetlands Day, celebrated each year on February 2. Dr. Christopher Briggs of the UK, the new Ramsar Convention Secretary General, warns that the growing demands of agriculture for water and land to feed a growing global population of more than seven billion people is causing the drainage and conversion of wetlands for cultivation or aquaculture. 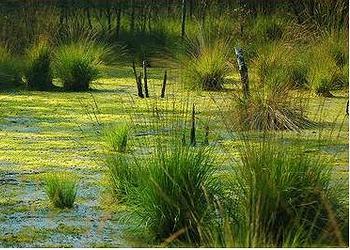 Globally, 70 percent of all water withdrawn from wetlands is used for agriculture. Wetlands also provide drinking water, water purification, transport, flood protection and fertile soils. 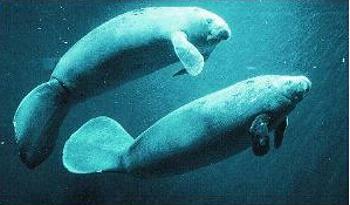 They help store water for energy production, and provide habitat for local and migrating animals and birds. Wetlands are being degraded by the widespread use of pesticides and fertilizers, an increasing threat, Dr. Briggs points out. He commends wetlands conservation efforts such as water efficient irrigation systems, drought-tolerant crops and organic farming. Dr. Martin Fowlie with BirdLife International says wetlands are “extremely important for biodiversity.” Waterbirds such as herons, egrets, swans, ducks and geese, and waders use wetlands during the majority of their lifetimes. At least 12 percent of all Globally Threatened Birds depend on wetlands, said Fowlie. “The most important types of wetlands for these birds are lakes and pools; rivers and streams; bogs, marshes and swamps; and coastal lagoons. “Wetlands make up a high percentage of Important Bird and Biodiversity Areas mainly due to their importance for large congregations of waterbirds,” he said. The Ramsar Convention, named for the city in Iran where the treaty was signed in 1972, serves the 168 member countries that choose to designate individual wetlands as being of international importance. 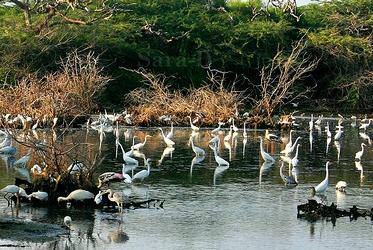 The total surface area of designated Ramsar sites today amounts to 208,518,409 hectares. Late last month in advance of World Wetlands Day, the UNESCO Institute for Water Education, Charles Sturt University and the Secretariat of the Convention on Wetlands signed an agreement establishing the Ramsar Chair for the Wise Use of Wetlands. “We warmly welcome the establishment of the Ramsar Chair, a position that will strengthen the impact and information flow from wetland research and help us to carry out more useful training on wetland management,” said Dr. Briggs during the Budapest High Level Water Summit. Five countries are celebrating World Wetlands Day 2014 by setting aside wetlands of international importance for protection under the Ramsar Convention: New Caledonia, the United Arab Emirates, Senegal, Guinea-Bissau and Belarus. France has designated the first Ramsar Site in New Caledonia, an island collectivity of France in the Pacific Ocean. Les Lacs du Grand Sud néo-calédonien, covering 43,970 hectares, is the largest freshwater reserve of New Caledonia, situated in the Great Lakes Region in South Province of Grande Terre, the main island. The site covers tree-dominated wetlands, shrub-dominated marshes, and permanent and seasonal rivers, streams, creeks, lakes and a reservoir. It supports vulnerable and endangered species within the New Caledonian Moist Forests biogeographic region. There is an extensive underground karst system that plays an important role in flood regulation, water supply, maintenance of water quality and groundwater recharge. The artificial Yaté Lake at the center of the site provides 20 percent of New Caldonia’s energy needs. The area is used for scientific research and outdoor recreational tourism. The main threats to this sitte are fires, forestry and invasive species as well as mining in surrounding areas. The United Arab Emirates designated its fifth Wetland of International Importance, a salt dome island belonging to the emirate of Sharjah lying some 65 kilometers off the coast of Dubai. The Sir Bu Nair Island Protected Area site, covering 4,964 hectares, includes the island itself surrounded by an extensive, healthy coral reef within the site. Despite its small size, the site supports a high biodiversity, including 40 coral species, seven of which are Red Listed as Vulnerable. The site is an important nesting site for the Critically Endangered Hawksbill turtle and it supports more than one percent of the regional breeding population of the Sooty gull. The island is of historical importance as pottery has been found dating back about 3,500 years. It used to be a meeting point for fishermen and a base for pearl divers. The island was declared a National Protected Area in 2000 and visits are permitted only for environmental surveys and studies. There is a plan to develop a limited area of the site for commercial tourism. To mark World Wetlands Day 2014, Senegal has designated as a Ramsar site the Réserve Naturelle Communautaire de Tocc Tocc, covering 273 hectares. This permanent coastal freshwater lake provides a habitat for spawning, nursery and feeding for over 98 fish species of high nutritional and commercial value to local artisanal fisheries. Residents also harvest forest products such as Cyperus articulatus, a sedge species used as a base in the perfume industry. The site is inhabited by a large colony of water birds, including the White pelican, and the iconic and vulnerable West African manatee, which was just protected from commercial trade by the Convention on International Trade in Endangered Species, CITES. The site supports the hydrological balance of the Senegal River basin and helps with groundwater recharge, flood control and desalination of brackish water for agricultural purposes. The main threats facing the site are overfishing and the uncontrolled water withdrawal; a local management committee has been established to monitor these activities. 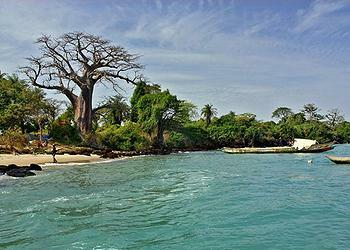 The African country of Guinea-Bissau has named the large Archipel Bolama-Bijagós as its second Ramsar Site. Covering a million hectares, the archipelago, which is also a UNESCO Biosphere Reserve, has the only active delta islands in the Atlantic Coast of West Africa. The intertidal mudflats host one of the largest populations of migratory shorebirds in the world, with over 870,000 recorded in 2001. The influence of coastal upwelling and estuaries and the large areas of mangrove support the reproduction and early growth of a large number of fish species. The site hosts the largest colony of green turtles in Africa, and provides a habitat for over 15 vulnerable species including the hippopotamus, West African manatee, Timneh parrot, Atlantic humpbacked dolphin, Leatherback turtle, and Green turtle. Inhabitants use some areas for rice farming, palm plantations and subsistence fishing, and the others for cultural and spiritual purposes. The main threats to this site are overfishing, tourism and ongoing offshore oil exploration and bauxite mining in the neighboring regions. Finally, Belarus has named three new Ramsar sites, taking the country’s total to 16 sites covering more than 600,000 hectares. The largest is Pripyatsky National Park; like Pripyatsky, Kozyansky and Vydritsa are designated as Important Bird Areas. The Sites include bogs, peatlands, swamps and lakes, as well as rivers and their floodplains. They host bird species such as the Black stork, Great bittern and the Common crane, and mammals such as the Eurasian lynx, Brown bear and Eurasian badger. The Belarus sites help regulate the supply and quality of water. They host archeological sites and offer opportunities for farming, hunting, fishing and forestry. They share the threat of being over-exploited, while the ecological character of the two sites in the south of the country may be affected by radioactive contamination which has been recorded since the Chernobyl disaster of 1986.